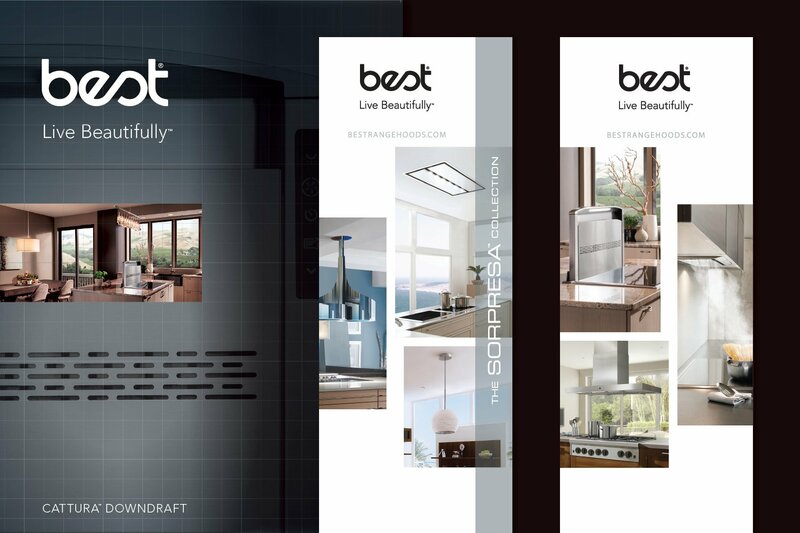 “Live Beautifully” positions Best range hoods to homeowners as a means to express their individuality by designing the modern-day gathering space of their dreams. After all, the kitchen is the focal point of any home. By creating beautiful kitchens with styles that make bold statements, designs that complement the aesthetics of their space, and solutions that perform functionally behind the scenes, Best range hoods are a welcome addition to any space called home. 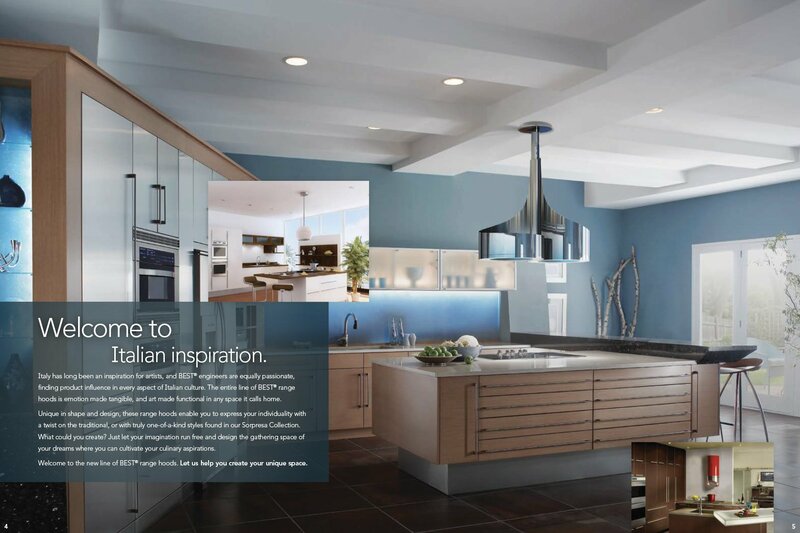 With a nod to today’s gourmet kitchens, Best range hoods took inspiration from Italy in this catalog, highlighting the unique product designs while illustrating the important features and benefits. It’s a fun read for anyone who enjoys cooking. The beauty as well as the powerful yet quiet functionality of this innovative downdraft range hood by Broan NuTone, are captured in this product launch video (below). Trade show banners reinforced the positioning of BEST range hoods to interior designers. By visually highlighting range hood styles that are most revolutionary or strikingly bold, designers are inspired, letting their imagination run free to cultivate culinary aspirations for their clients. Likewise, pocket stuffers of the BEST product line offer inspiration and all the necessary technical details to DIY consumers at big box retailers like Home Depot and Lowe’s (below). Our 15 year partnership with Broan NuTone allows us to be involved with all aspects of marketing their residential ventilation products, customized climate, communications and home automation solutions. ©2018 Michaletz Zwief Ltd., All Rights Reserved.